Google+ is a social platform still new to many people. If you’ve been waiting to take the plunge, now is a great time to jump in. Google+ is actually a very powerful business tool when you know how to use it correctly. It can help you make connections with the right types of people and using it will also add a highly visible profile to Google search results for your personal brand and business. The key to success with Google+ lies in mastering your circles. 1 What is a Google Circle? 2 Should I Do Reciprocal Circling? 3 How Do I Know Who Circles Me Back? 5 What Do I Name My Circles? 6 Can People See What Circles They Are In? 7 What if I Need to Go Back and Sort Old Circles? 9 Do I Make My Posts Public? So first, what the heck is a circle? Well, on Google+, it’s the way you can sort and organize your connections. It’s a bit like Facebook lists but a lot more dynamic. Basically, circles are the groups that you categorize your connections in. If I have a social media tips article, that might appeal to people in all three circles. However, a blog post about how to increase Empire Avenue activity scores may not mean anything to my other circles. I can choose which circles see the content I am sharing and I also have the option to make my content public. Should I Do Reciprocal Circling? The next question I hear a lot is “Should I circle people back?” Well, that’s actually up to you. There are no social requirements that demand you must circle back someone who circles you. When they circle you, it means they are interested in following your content. You will not see their content unless you circle them back. I don’t recommend circling just because someone circled you. Your stream will get flooded with loads of content that may or may not relate to you. Instead, circle back only people who post about things you are interested in or that relate to you. Remember also that you can remove someone from a circle so if you add them based on what you think they will post on and it ends up they are a spammer or have unrelated content, you can just remove them. How Do I Know Who Circles Me Back? 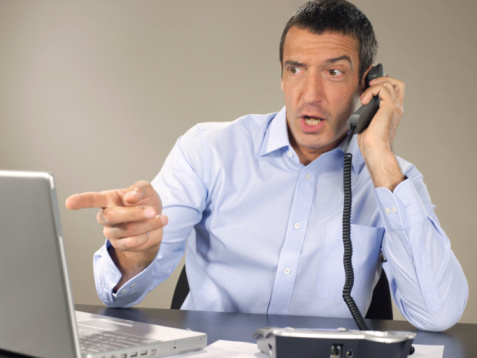 Are you wondering who is circling you back? There are several reasons why this data might be important to you and there are actually different ways you can do it. What Do I Name My Circles? Naming your circles is part of the fun of using Google+. You want to pick names that will help you remember who is going in each group but you don’t want to make names that are confusing or too similar to one another. While it’s totally up to you what you name your circles, I recommend creating a system of some type that helps you sort them. For example, I have “close” friends and family in a specific circle because I may share different types of content with them than with people I do not know intimately. I also have a circle for “prospects” or potential clients. If they become a client, I move them from “Prospects” to the “Clients” circle. I also create circles for some things not related to my business such as hobbies. I have a circle for “Video games” where I add gamers, people who work in the industry or people who post about video games. Can People See What Circles They Are In? No. They can only see that you have them in circles. They will not see what the name of the circle is. However, just in case this ever changes in the future, you may not want to name your circles “People with weird haircuts” or “those stupid guys”. What if I Need to Go Back and Sort Old Circles? Now that you have this information about how important Google+ circles are, you might be wondering what you should do about the circles you already have. The best part is that you can go back and organize existing circles at any time you wish. Of course, if you added a lot of people without sorting them previously, it might take you some time to organize. I’d suggest setting aside some time each day to do a little at a time until it’s complete. The Google Plus Circles dashboard is user friendly and intuitive. The ease of use is often noted as one of the greatest achievements of the network's design. Luckily the Google+ circles dashboard is user friendly and intuitive. Most users have had very positive feedback on Google’s user interface itself, and the ease with which you can makes changes to your circles is a testament to that quality. Creating your circles is one thing but they won’t do you any good if you don’t use them correctly. It pays to take the time to learn about posting to circles on Google+. The good news is that it is incredibly easy so once you invest the time to set up those circles, using them is a piece of cake. Do I Make My Posts Public? Making your posts public will increase the amount of people who will see your stream but be cautious of over sharing. You may overrun someone’s stream and they are likely to remove you for it. Also remember that you want to post things that are related to your niche and not post just for the sake of posting. I try to post at least 3-5 public posts a day because it keeps me in the minds of my followers, and organically grows my following as users share my content. Select the circle or combination of circles you want content to go to and then make your post and hit “Share”. If you want to tag specific people in the post, you can do so using the +. For example, to tag me on Google+, you would type +LisaMason. You can also sort the order of your circles to make it easier to keep track of them. You can do this from the main circles page which allows you to drag them around to whatever order you choose. 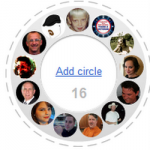 One of my favorite things about Google+ circles is the ability to curate shared circles with other people. As you file your connections into groups you have the ability to share those groups with other friends. This becomes especially useful when integrating your interests into your network. There are hundreds of shared circles already assembled for everything from Google employees, to social media , to photographers. Curating circles specific to your niche is a networking strategy that has given several users some influence over how Google+ has grown as a network, and it’s a great way to give back and showcase your favorite friends. A top-notch resource for finding pre-made circles for your favorite interests is the Shared Circles on G+ page. An even more comprehensive list of Google+ shared circles exists at Chris Porter’s Google+ Shared Circles Database. The more you use your circles, the more comfortable you will become with them and the more ways you will likely see to use them to your advantage for business and personal use. One final point to remember is that you will need to revisit your circles regularly to clean, organize and re-sort them as needed. Then you can fully appreciate all that Google+ has to offer. Thank you for sharing Lisa. Google + certainly is emerging as a social network and many people are still on the fence about it. Your article helps simplify this new network. Thank you Dana. Appreciate you reading. thank you Lisa for this neat summary. I think although it may be an intuitive dashboard, there is much to get under one’s belt before we can be fully functional with the features. I agree. The more comfortable you become with it, the better it can work for you. Thanks for reading. Outstanding job Lisa. I was bad at first in not circling people properly (I just put them in my “Following” circle). Since then, I take 10 people every day out of that circle, and put them where they belong. 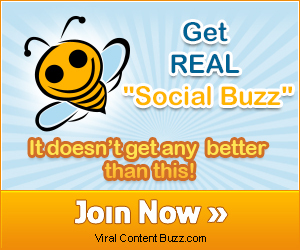 I’ve already noticed better engagement from these people, due to better content targeting. I did the same thing when I first signed up for G+ and then I had to go reorganize people and it made a huge difference. Thanks for reading. This is a really well-composed description of G+ circles and how they enable you to really tailor the experience to your needs. I’ll be bookmarking it to pass it along to others. Thank you! Thank you for reading. I hope it helps. I had to redo my circles and this was extremely helpful. Thanks Lisa. For some, G+ is a difficult network to grasp. Some won’t touch it simply because it doesn’t feel friendly. I don’t use it very much, but do give G+’s generously. Rarely do I use it as a source for much…yet. Your article is great for newbies! Thanks for all the G+ tips on circles. Will be put to good use. I need to pay more attention to Circles. The problem I have is that I want my posts to count for Klout and only Public posts count there. But, at the same time, that limits the “social” aspects of the platform. Shawn, I’m going to give you the best advice anyone could possibly give you. Don’t worry about your Klout score, and don’t let it dictate which networks you use. Real influence is hindered by that type of behavior, and you’d do better focusing on creating content that rivals the quality of top pundits and staying on top of the most interesting news. In time your influence will grow and everything will run it’s course. It’s scaleable and sustainable that way. Meanwhile someone who games around trying to add points to their Klout has little to show for it, and legitimate brands that have been including users in their media promotions long before Klout even existed will be turned off by the activity in your feeds relating to Klout network activity. That is, if they ever wind up on your profiles in the first place. I’d much rather have the influence of Gary Vaynerchuk at Klout 72 than all of my friends combined who actively game their Klout score that have Klout scores near 80. Thanks for sharing this circle information. Circles are key to managing your Google Experience and you have some great pointers on how to maximize your use of them. Nice. However, my problem with G+ right now is that I reached 5,000 limit and could not circle someone I like. So, the question is how to find a meaningful tool to surgically remove someone whose posts are nonsense (not one by one manually remove someone). Nicolas, if G+ is your primary network and you are wanting to cycle through Followers – only keeping the very best, add new friends to a circle called “Following”. Make 1 other circle called keepers. Go ahead and add 5,000 people in Following and every time someone shares something you enjoy, add them to keepers. After a few weeks, delete the whole following circle, and create a new one. You’ll have a couple hundred active – high quality people in your keepers folder, and you’ll be able to try on 4,500 more people in your stream. Nice recap of Google+ features and best practices. My favorite feature is that people don’t see what circles I put them in. What’s yours? I agree and I think my favorite is the fact that we have the circles in the first place so I can share certain posts just with so certain people, rather than sharing everything with everyone. This has helped tremendously as I was unsure about the pc thing to do when someone I don’t know circles me. Thanks for the tips on how to use circles too as I found that part a bit baffling at first. Have a Fantastic Friday and Super Weekend! But what happens if a brand has a million followers? How can they segment all of them? You can’t add a million followers to circles. Circles are for the people you follow. If you have a million followers, you’ve moved past using your circles to strategically segment reciprocal followers to create a more refined experience. You’re basically broadcasting at that point. I know this an older post, but does anyone know what to do about circle adding limits. I think I have about 1500 added to my circles…and I was hitting a daily limit of adding about 100. Lately though, I’ve been limited to 5 circle adds per day. What do I do? It’s rather annoying to be limited to 5 per day. That is very odd John. When I was regularly using G+, I could add 500 people per day with a maximum limit of 5,000. However, there is a limit associated with your Gmail contacts. Most people don’t realize that your Gmail contacts and G+ Circles are connected, and your Gmail limits will hold up your Google+ adding if you have hit them.